A VISA is the travel document that allows you into the United States of America. You will need your visa to enter, depart and return to the United States. If you are currently in your home country, you will need to obtain an F-1 International Student Visa. Click here for more information. Pay the SEVIS Fee. You must pay this fee prior to the visa interview at the U.S. Embassy in your country. In order to do so, you must have your I-20 Form to complete Form I-901 (on-line) and obtain the receipt or Form I-797. Print multiple copies of the receipt. You will need one with you for the visa interview, one to submit to JSU Global during Check-In and you should keep one for your own records. Please note that this process requires the use of a credit card. Complete the Online Nonimmigrant Visa Application (DS-160) Form. This requires you to upload one (1) passport picture. Please make sure to carefully review the instructions prior starting the process. Click here for photo requirements. Prepare documents for visa interview. You must have a valid passport, letter of admission from the school, evidence of financial ability to meet expenses (original documents, no older than 3 months), and evidence of intent to depart the United States after completion of studies.Please see the U.S. Embassy Website for your country to see if additional documents are required and schedule your visa appointment. Important: Students can apply for F-1 visas at any given time. However, the State Department will ONLY start to issue visas 120 days prior to the first day of the beginning of the academic program. In addition, international students will be able to enter the United States as early as 30 days prior to the beginning of the program. 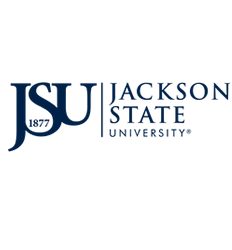 Why do you choose Jackson State University? What can you tell me about this University and Jackson, MS where the University is located? What reasons can you give to indicate that you will return to your home country after you complete your studies in the United States? Be confident and answer all questions in an open and honest way. Read 10 Points to Remember for VISA Interview. Contact the admissions office or department in writing (email or letter) to request a deferral. Return the I-20 form to JSU Global ISSS.